Agents, here are a few savings and incentives major cruise lines are extending to you and your clients. 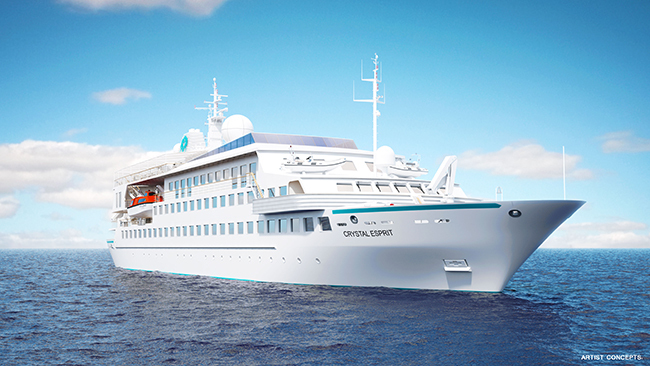 On the heels of its Crystal Exclusive Journeys launch, Crystal Cruises’ is offering incentives to agents and their clients as the cruise industry enters wave season. Crystal Exclusive Journeys rewards passengers who combine their Crystal experiences on the line’s ocean ships, luxury yacht and five upcoming river yachts with additional savings. For example, guests who book the 7-day river cruise from Bordeaux aboard the Crystal Ravel, departing Oct. 3, and the 11-day voyage from Lisbon aboard the Crystal Symphony, departing Oct. 10, receive 15 percent savings. Additionally, agents who sell three staterooms to returning travelers or two staterooms to first-time Crystal guests on any segment of the 2017 Southern Celebracion cruise through South America receive a complimentary voyage for two in a Deluxe Stateroom with veranda. Agents who sell six staterooms on any segment of the 2017 Southern Celebracion cruise receive a complimentary voyage for two in Crystal’s penthouse accommodations. Crystal is also offering guests added value and low cruise fare on the Crystal Symphony and Crystal Serenity ocean vessels. Rates start at a discounted $1,845 pp on bookings made before Feb. 29. 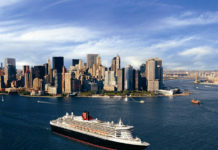 For more information, call (888) 799-4625 or visit crystalcruises.com/agent/login.aspx. Greater Miami and The Beaches and major cruise lines are partnering together to offer a bundle of savings on sailings and pre- and post-cruise stays during the third annual Miami Cruise Month, which comes to a close on Jan. 31. Participating cruise lines include Carnival Cruise Lines, Celebrity Cruises and MSC Cruises, as well as Norwegian Cruise Line, Oceania Cruises, Regent Seven Seas Cruises and Royal Caribbean International. Norwegian Cruise Line, for example, is offering a freestyle choice promotion through April 10, 2016, where clients can choose from either unlimited beverages, complimentary specialty dining, complimentary shore excursions or complimentary WiFi on select 2016 and 2017 voyages. Similarly, Royal Caribbean International is offering a Buy One Guest, Get Second Guest 50 Percent Off deal, plus 25 percent savings for three to four guests. Booking window is through Feb. 15. Miami Cruise Month deals end Jan. 31. 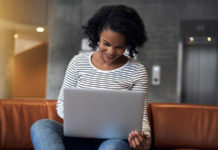 For more information and to get promo codes, visit miamicruisemonth.com. A rendering of the sports arena and slide on the new MSC Seaside. 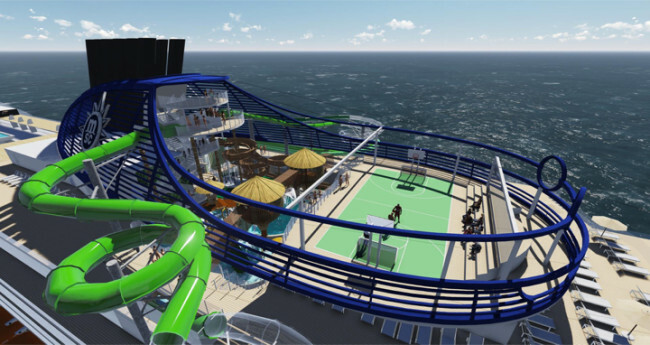 The first ship of MSC Cruises’ Seaside generation, MSC Seaside, is now open for booking. The 4,140-passenger MSC Seaside makes its debut December 2017 on an inaugural Christmas cruise departing Dec. 21. The ship will sail year-round from Miami on a collection of 7-night eastern and western Caribbean itineraries. 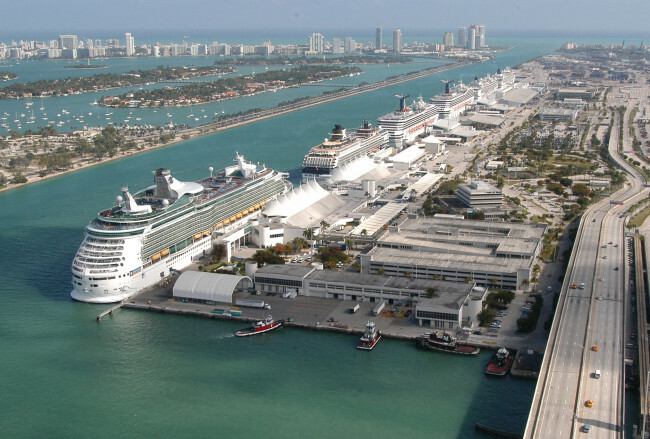 Scheduled ports of call include St. Thomas, the Bahamas and Puerto Rico in the eastern Caribbean, and Jamaica, the Cayman Islands, Cozumel, and the Bahamas in the western Caribbean. The 1,059-ft.-long vessel features a 360-degree ocean level promenade with indoor/outdoor shops and restaurants, a full buffet area and a pool, as well as an enhanced MSC Yacht Club, a two-deck glass-walled atrium and lounge. The ship’s staterooms range from convertible rooms with accommodations for up to 10 people to luxury suites with private hot tubs and hanging gardens. MSC Voyager Club members receive the standard 5 percent discount plus a bonus All-Inclusive Classic drink package for the first and second guest in a stateroom on all 7-night or longer MSC Seaside sailings booked by Jan. 31. MSC Cruises is also offering your clients who are not Voyager Club members the All-Inclusive Classic drink package for the first and second guest in a stateroom on all 7-night or longer MSC Seaside sailings booked by Jan. 31. Rates start at $589 pp. For more information, call (800) 666-9333 or visit msccruisesagent.com. 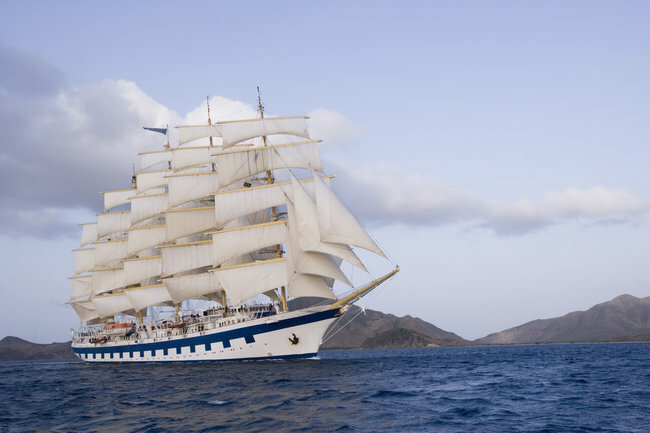 Star Clippers’ new winter incentive, a continuation of the company’s Sell’abration agent loyalty program, enters agents for the chance to win one of 10 complimentary cruises for two when they book three cabins dbl on any Star Clippers ship for seven nights or longer for travel in 2016 or 2017. Bookings must be fully deposited and made by March 31, 2016. The winning agents will be notified by April 1, 2016. The 10 winners will receive one cabin, cruise-only for two people on a 7-night or shorter sailing departing before Dec. 15, 2016. For more information, call (800) 442-0551 or visit starclippers.com.